I stay quite high up in a condo apartment which gives me a great view of the outside, albeit mostly old dirty sooty factories. So there I was this morning, brushing my teeth and looking out the window and I spotted this couple sleeping on the rooftop barely clothed. The weather recently has really been crazy with temperatures breaching 37 degree Celsius just the other day. 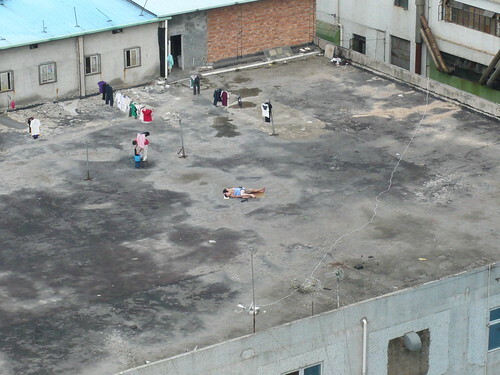 So while I can understand these guys sleeping on the rooftop but er... the rooftop a bit DIRTY right???! !